Incidental observations have also revealed therapeutically useful effects. This occurred in a study with patients with Alzheimer's disease wherein the primary issue was an examination of the appetite-stimulating effects of THC. Not only appetite and body weight increased, but disturbed behaviour among the patients also decreased. The discovery of decreased intraocular pressure with THC administration in the beginning of the 1970s was also serendipitous. 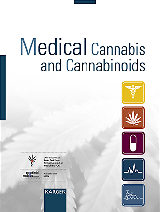 Additional interesting indications that have not been scientifically investigated, but remain common problems in modern medicine may benefit from treatment with cannabis or cannabinoids. Given the increasing evidence on the therapeutic potential of different cannabinoids, it is important to distinguish between medical usage of products that are rich in THC and those that are rich in CBD, which is a non-psychoactive ingredient of cannabis and is also a constituent of hemp. Treatment of side effects associated with antineoplastic therapy is the indication for cannabinoids which has been most documented, with about 40 studies (THC, nabilone, other THC analogues, cannabis). Most trials were conducted in the 1980s. THC has to be dosed relatively highly, so that resultant side effects may occur comparatively frequently. THC was inferior to high-dose metoclopramide in one study. There are no comparisons of THC to the modern serotonin antagonists. Some recent investigations have shown that THC in low doses improves the efficacy of other antiemetic drugs if given together. There is evidence from clinical studies that cannabinoids also effective in nausea and vomiting due to radiotherapy and after surgery. In folk medicine cannabinoids are popular and are often used in other causes of nausea including AIDS, hepatitis and nausea in pregnancy. An appetite enhancing effect of THC is observed with daily divided doses totalling 5 mg. When required, the daily dose may be increased to 20 mg. In a long-term study of 94 AIDS patients, the appetite-stimulating effect of THC continued for months, confirming the appetite enhancement noted in a shorter 6 week study. THC doubled appetite on a visual analogue scale in comparison to placebo. Patients tended to retain a stable body weight over the course of seven months. A positive influence on body weight was also reported in 15 patients with Alzheimer's disease who were previously refusing food. In addition, cannabis products can improve appetite in cancer patients and in chronic obstructive pulmonary disease (COPD). A study, with a small sample size, points to the potential of THC for improvement of symptoms associated with Anorexia Nervosa. There are some positive anecdotal reports of therapeutic response to cannabis in Tourette's syndrome, dystonia and tardive dyskinesia. The use in Tourette's syndrome is currently being investigated in clinical studies. Many patients achieve a modest improvement, however some show a considerable response or even complete symptom control. In some MS patients, benefits on ataxia and reduction of tremor have been observed following the administration of THC. Additionally, cannabis products may prove useful in levodopa-induced dyskinesia in Parkinson disease without worsening the primary symptoms. A small study showed that inhaled cannabis improved the motor symptoms of patients with Parkinson's disease, including tremor, rigidity and bradykinesia. Despite limited evidence regarding effectiveness for treating patients with Huntington disease, the American Academy of Neurology guideline concluded that “nabilone (a synthetic derivative of THC) possibly modestly improves Huntington’s disease chorea.” Anecdotal reports of patients with Amyotrophic Lateral Sclerosis (ALS) suggest that cannabis may provide symptomatic benefits to such patients. Similarly, patients' reports point to the potential of cannabis in alleviating symptoms associated with Dystonia. Following the rationale that the endocannabinoid system is involved with immunity and inflammation, several studies have shown that cannabis may have a therapeutic effect for treatment of patients with Inflammatory Bowel Disease (Crohn's Disease and Ulcerative Colitis). Studies demonstrated that cannabis-based products, especially with THC content, were able to improve clinical outcomes of patients, including appetite stimulation, weight gain, reduction of pain and significant improvement in disease activity. Some patients achieved remission of the disease, and other were able to reduce the consumption of medications, such as steroids. One study demonstrated a therapeutic effect of oral THC (dronabinol) for specific sub-groups of patients with Irritable Bowel Disease (IBS-D and IBS-A), and showed improved colonic compliance and motility. Several surveys showed that relief from chronic pain is the most common condition mentioned by patients who use medical cannabis. A large number of clinical studies have shown the analgesic properties of cannabis products. Among possible indications are neuropathic pain due to multiple sclerosis, damage of the brachial plexus and HIV infection, pain in rheumatoid arthritis, cancer pain, headache, menstrual pain, chronic bowel inflammation and neuralgias. Combination with opioids is possible, and some studies indicate moreover that the use of cannabinoid medicines may lead to a reduction in opioids consumption. According to small clinical studies cannabinoids taken internally or externally as ointment ameliorate pruritus by different causes, for example severe pruritus in the course of liver diseases. In 1971, during a systematic investigation of its effects in healthy cannabis users, it was observed that cannabis reduces intraocular pressure. In the following 12 years a number of studies in healthy individuals and glaucoma patients with cannabis and several natural and synthetic cannabinoids were conducted. Cannabis decreases intraocular pressure by an average 25-30%, occasionally up to 50%. Some non-psychotropic cannabinoids, and to a lesser extent, some non-cannabinoid constituents of the hemp plant also decrease intraocular pressure. While in most western countries there are other medications for intraocular pressure that are available to patients, in other parts of the world this may not be the case. The use in epilepsy is among its historically oldest indications of cannabis. Animal experiments provide evidence of the antiepileptic effects of some cannabinoids. The anticonvulsant activity of phenytoin and diazepam have been potentiated by THC. According to a few case reports from the 20th century, some epileptic patients continue to utilize cannabis to control an otherwise unmanageable seizure disorder. Cannabis use may occasionally precipitate convulsions. A few studies showed that the use of CBD-enriched extracts by children and adolescents with intractable epilepsy yielded positive effect on seizure load. Improvement in other symptoms, such as behavior, communication, motor skills and language, were also observed. According to a few studies and case reports, cannabis or cannabinoid medicines may alleviate sleeping disturbance, specifically among patients with obstructive sleep apnea, fibromyalgia, chronic pain, or multiple sclerosis. An improvement of mood in reactive depression has been observed in several clinical studies with THC. There are additional case reports claiming benefit of cannabinoids in other psychiatric symptoms and diseases, such as sleep disorders, bipolar disorders, schizophrenic psychosis, and dysthymia. According to some case reports THC was effective in otherwise treatment refractory heavy compulsive disorders. In addition, studies and case reports also suggest that cannabinoids may be beneficial for improvement of anxiety symptoms. Cannabinoids may also reduce symptoms of posttraumatic stress disorders, such as nightmares, global clinical state, and general well-being. Various authors have expressed different viewpoints concerning psychiatric syndromes and cannabis. While some emphasize the problems caused by cannabis, others promote the therapeutic possibilities. Quite possibly cannabis products may be either beneficial or harmful, depending on the particular case. Cannabis may be beneficial in patients suffering from ADHD (attention deficit hyperactivity disorder). Clinical studies have shown that cannabis may not only increase appetite in patients with Alzheimer's disease but also reduce disturbed behaviour and agitation. A small study reported that cannabis oil was effective in treating symptoms of dementia patients, including agitation/aggression, irritability, apathy, sleep, and caregiver distress. There are a number of positive patient reports on medical conditions that cannot be easily assigned to the above categories, such as hiccup, high blood pressure, tinnitus, chronic fatigue syndrome, restless leg syndrome, and others. Several hundreds possible indications for cannabis and THC have been described by different authors. One example is the successful treatment of a chronic hiccup that developed after a surgery. No medication was effective, but smoking of a cannabis cigarette completely abolished the symptoms. 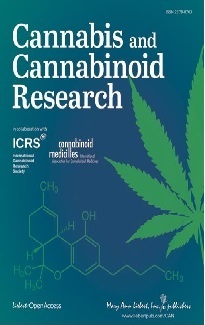 Cannabis products often show very good effects in diseases with multiple symptoms that encompassed within the spectrum of THC effects, for example, in painful conditions that have an inflammatory origin (e.g., arthritis), or are accompanied by increased muscle tone (e.g., menstrual cramps, spinal cord injury), or in diseases with nausea and anorexia accompanied by pain, anxiety and depression, respectively (e.g. AIDS, cancer, hepatitis C). This is also the case for elderly patients, who often suffer from multiple symptoms and comorbidities.